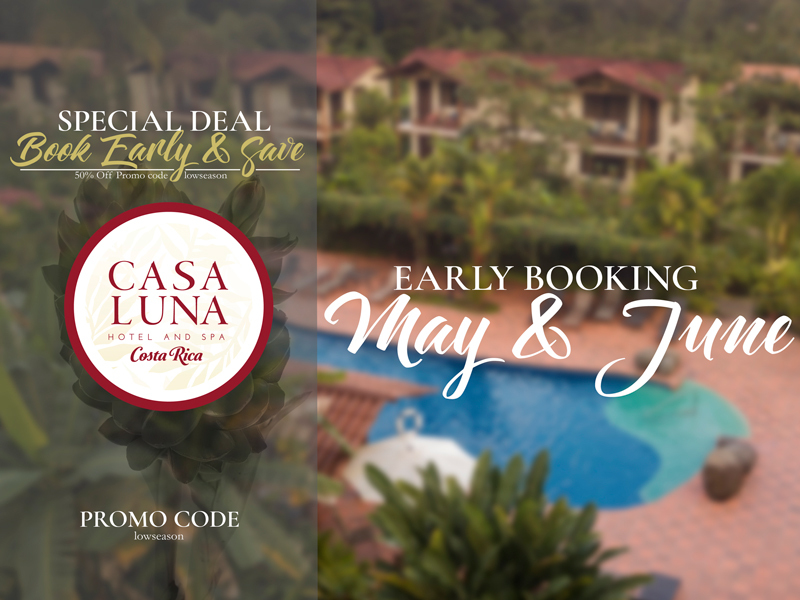 Within our lush gardens and greenery of Casa Luna Hotel & Spa two Junior Suites (62m2) are situated in a strategic hidden spot, surrounded of beautiful nature, at the same time combined with our rustic colonial characteristic of our hotel and a touch of modernity from within. 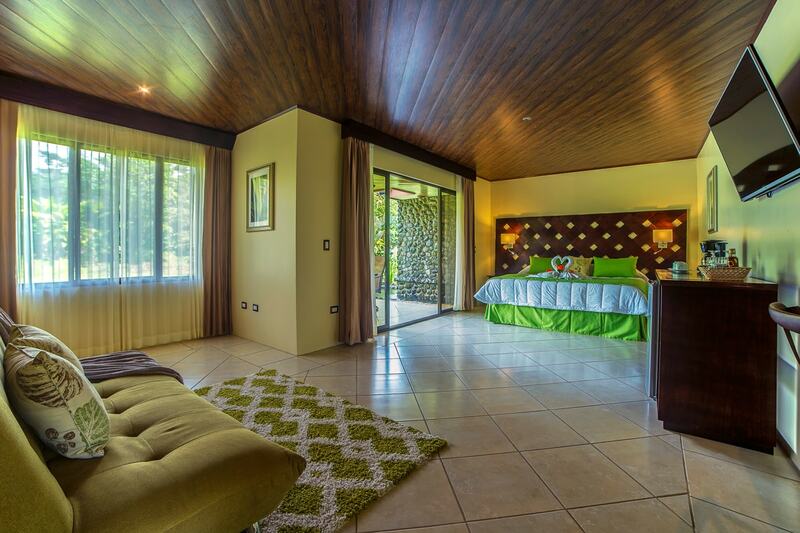 This spacious room offer all the comfort and details to enjoy of a relaxing stay in La Fortuna. Tastefully designed for you to enjoy a relaxing nap while listening the falling water sound on the weeping wall from our natural springs or enjoy on the terrace a delicious tropical breakfast with a breathtaking view of the Arenal Volcano and Cerro Chato.